The newest and best way to send money internationally. The newest and best way to send money internationally is here. 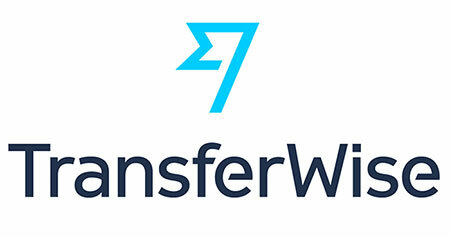 Welcome TransferWise! Now anyone can easily send money to friends, family or businesses overseas without suffering from unfair exchange rates or transfer fees. It really is the best way, and it’s fair for everyone involved. Our customers nearly always book their scuba diving liveaboard cruises and day trips in advance, while they are in a different country. Up until now they have used credit cards or PayPal balances to pay our PayPal invoices, or made direct bank transfers into our Thai or UK bank accounts. Those options are still available, but TransferWise is a new and different option that many people prefer. Our customers are in countries all over the world, and different cultures and local laws mean that there is no universal way to send money from one country to another. TransferWise takes advantage of the fact that it is global and the company has bank accounts in countries all over the world. This is how they are able to give you the best exchange rate and little or no fees. Both the person sending the money and the recipient benefit from using TransferWise when compared to other methods. If you pay through a system like Western Union, PayPal or even a direct bank transfer, there are always fees incurred and usually an unfavourable exchange rate. Using TransferWise works so well because the money you send from your home country never actually leaves that country. Instead, TransferWise sends the amount from their bank account in the recipient’s country, and this is how they avoid the fees. What’s more, they give the mid-market exchange rate. Thailand is one of their more popular countries, which means that there is nearly always someone sending money the other way (from Thailand to a country in Europe, North America, Asia, Australia and more). That is how they are able to ‘balance their books’ and keep the system working to benefit everyone. Of course it is. TransferWise is a proper company and already well-established around the world. The sender is protected by their bank or card against fraudulent use of the money. Those using cards to pay through TransferWise are even better protected. In fact it’s safer than a direct bank transfer, which is often hard to trace if a mistake is made. How long does it take for the money to arrive? Compared to using PayPal, TransferWise is a little bit slower, but compared to direct international bank transfers, it’s a lot quicker. Two working/business days is the normal time for cleared funds to arrive in the recipient’s account. However, as soon as the payment is submitted, the sender will immediately get confirmation to say ‘funds are on the way’ and to whom. Why is TransferWise better than payment gateways such as PayPal? PayPal is by far the most-popular payment gateway around the world, but it doesn’t work from all countries. Also, PayPal don’t always offer the customer the best exchange rate, and they charge the recipient a percentage of everything that they receive. For the sender, the best advantage of TransferWise over payment gateways such as PayPal is the exchange rate that they receive. This mid-market rate is as good as anyone can expect, and it’s fair for everyone. Are there fees to the sender? Yes, but only about 1% or less! But don’t be put off by this. You need to look at how much you’re paying from your balance or card, not at the fees. If you calculate the better rate and the small fee, then you will see that paying through TransferWise is usually better for you. And although we do not add a fee to customers who pay us through PayPal, many other merchants do add this. Some add 5%! The sooner you open your personal TransferWise account, the sooner you will start to save money and the more you will save. How quick & easy is it to open an account? It’s as quick and easy as opening a new email, social media or PayPal account. Just a few simple steps and you’re ready to begin saving while you spend! It’s free and they even offer you a reward for inviting others to do the same. Just do a search in Google or other search engine. You will quickly see TransferWise’s links. Then just follow the directions on the website. Once you have your TransferWise account open, the recipient (such as us) sends you the receiving bank details, including the account name, number and branch address, plus the IBAN number. Banks in some countries don’t use IBAN, and instead they have SWIFT codes. It really is that simple and it’s a pleasure to use. You can send money to friends and family even if they don’t have a TransferWise account. Companies such as Western Union and PayPal are not happy about TransferWise, because it’s likely to affect their income as more people switch over to this safe, easy and inexpensive way to send money internationally.